One Time Investment Life Time Income! 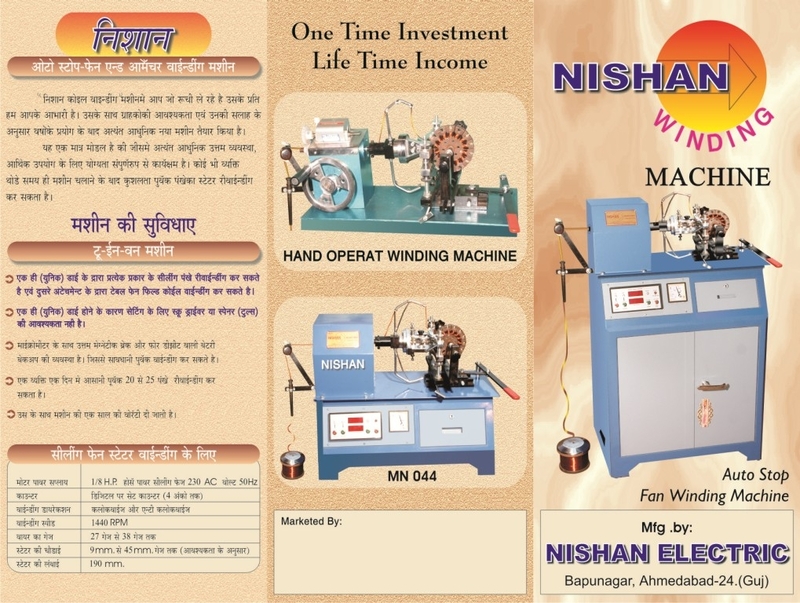 We are glad for the interest shown in ceiling fan coil winding Machine.This new machine is improved after years of experiments and accommodates various needs and suggestions from customers. This unique model incorporates maximum operating economy and quality of being suitable. Anyone can master the operations in a few hours. The only UNIQUE DIE eliminates use of different types of dies.